Ask A Sandstone Valley MARKET EXPERT! DESCRIPTION VILLA STYLE LIVING IN DESIRABLE HORIZON VILLAGE SANDSTONE!! LARGE BUNGALOW, END UNIT, ADULT LIVING 50+, BACKING ONTO GREEN SPACE WITH MATURE TREES!! This well cared for home offers a large front living room & dining room, a bright spacious kitchen & eating area featuring newer stainless appliances & sliding doors that lead out to the composite back deck, green space & mature trees. The master suite includes a huge walk-in closet & conveniently located 4 pce. bath. Also on the main floor is the laundry area with newer washer & dryer, large pantry & entry to the insulated attached garage. The fully finished basement includes the 2nd bedroom, a huge family room, recreation area & 3 pce. bath, great for guests. All this & still tons of storage space. Adjacent to visitor parking & just a short walk to enjoy the Club House with a pool table, shuffle board, kitchen & sunny areas to relax & visit. Close to shopping, transit & easy access to major roads. Isn't time someone else mows the grass & shovels the snow!! Home for sale at 69 Sandarac Ci Nw Calgary, Alberts T3K 3G7. 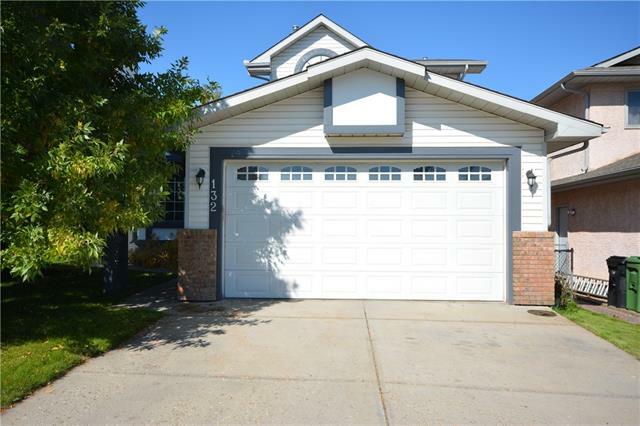 Description: The home at 69 Sandarac Ci Nw Calgary, Alberta T3K 3G7 with the MLS® Number C4205942 is currently listed at $284,900.